We process personal data to manage alerts as to products available for purchase on the website, to send out our newsletter and commercial information, and to determine consumer preferences. The data shall not be communicated other than to the OSBORNE Group companies to which the request refers , and to support the service or to comply with legal requirements. You can find additional information on the processing of your personal data on the following link INFORMATION ON THE PROTECTION OF PERSONAL DATA RELATING TO PRODUCT AVAILABILITY . 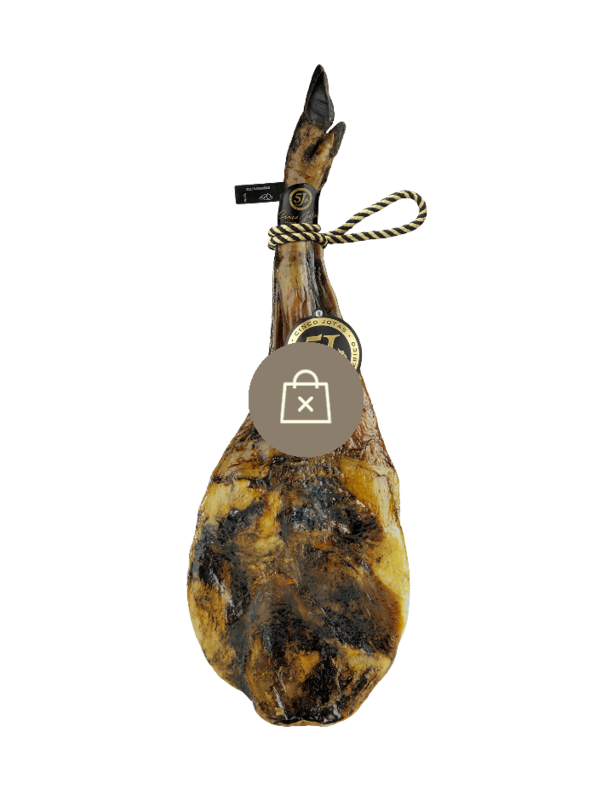 You're going to love the authentic flavour of acorn-fed 100% ibérico shoulder ham. When this gourmet prize is delicately sculpted, cut by meticulous cut, you will be whisked away to a gourmet culinary experience like none other. Relax, and savour those unique flavours that pay homage to everything that is good and true about Spanish heritage. Quality. Excellence. Enjoyment of life. And, above all, enjoyment of a good acorn-fed 100% ibérico shoulder ham shared with friends and family that you hold dear.